The merest mention of the word “cake” can turn my head, so naturally, I am always on the lookout for places to try. If you are a dessert lover like me, you must check out Grin Affair, a new cake shop – nestled in the quiet Everton Park estate (where you can also find Nylon Coffee Roasters) – which serves cakes in glass jars. Holland Village is known as a cluster of restaurants which has a mix of different cuisines. The newest addition to the area is MU Parlour – a cafe serving desserts, burgers, and cocktails. Prices range from $4 to $6.50 for a dessert, while you can get their ‘gourmet’ burgers for $13 to $16. It is easy to miss MU Parlour if you are not paying special attention to the shops on the second level. It’s the kind of place that is introduced through friends’ recommendations. And this is exactly how we came to know about it. 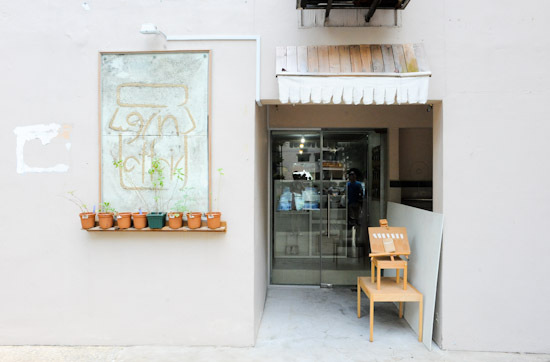 I have been on a lookout for the best cupcakes in Singapore, and I think my adventure can end with Plain Vanilla Bakery. They are one of my new favourite cupcake places. Brunetti is a famous Italian pasticceria and coffee joint from Australia. Having heard good things about it from my friends who studied in Melbourne, I was quite excited when it finally opened in Singapore at Tanglin Mall. 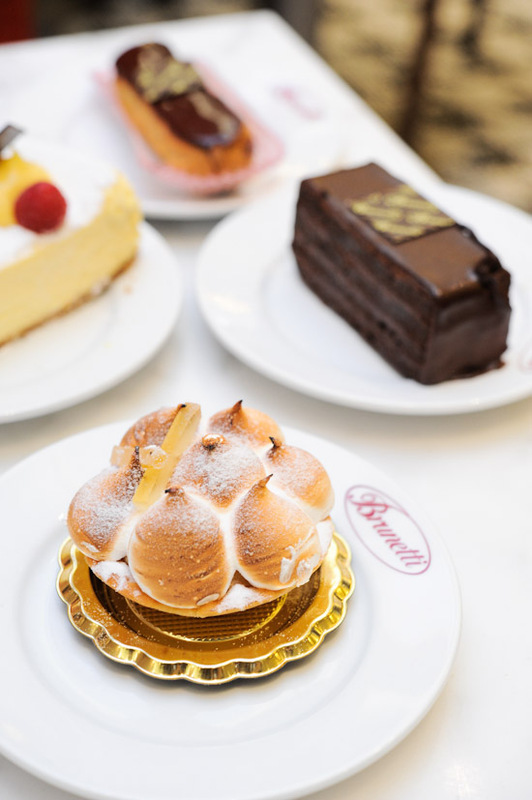 After my first visit a few months ago, I went back to Brunetti several times and tried quite a few items. Some of the cakes were good, while others were average. Paul Bakery has opened in Singapore with much fanfare, and it’s not difficult to understand why the French boulangerie/patisserie is packed with customers everyday. For those who have been to Europe, Paul Boulangerie is the place for them to relive those wonderful memories of having a warm croissant and a cup of coffee during winter. For others who have heard much about Paul from their friends, the new restaurant in Singapore gives them the chance to try something before they go Europe. The question on everyone’s mind is no doubt whether Paul Boulangerie in Singapore is the same as Europe. A good strawberry shortcake is one that has pillowy soft sponge cake with sweet and fresh strawberries, and super delicious whipped cream. It is an old-fashioned and rustic cake that is perfect as a mid-afternoon tea break, or for a sweet ending after dinner. It is an everyday cake; one that you can always turn to when in need of a pick-me-up. Here is a list of the Best Strawberry Shortcakes in Singapore. Updated on 23 Apr 2014: 1 Caramel is no longer in operations. 1 Caramel Patisserie used to be located at The Luxe at Handy road (besides The Cathay). They have since shifted to Rochester Park, sharing the space with their sister restaurant, 1 Rochester. With only a few tables in a narrow rectangular space, 1 Caramel dessert boutique at Rochester Park is much smaller than before. But I like the cosy feel of the new outlet; it is a lovely dessert place to have a cup of tea and a slice of cake for a quiet afternoon high tea.